Even before the "Art in the Streets" exhibition opened its doors at The Geffen Contemporary at MOCA it was surrounded by controversy. First, it was MOCA's self-censorship of Italian artist Blu's work. Was it truly an proactive act of sensitivity towards the museum's war veteran neighbors? Was it a publicity stunt by Deitch? Whatever it was, we were all talking about what happened. The media debate has since moved on to ask, "what does the 'Art In the Streets' show promote to the hordes of visitors and street artists visiting downtown Los Angeles?" According to the LAPD, the show is telling graffiti artists it's open season in the Little Tokyo neighborhood where MOCA is located. "Over the last two days, dozens of tags, including monikers and larger so-called bombs have blighted several commercial buildings behind 1st Street as well dumpsters and light poles within a stone's throw of the museum entrance." Now, I write this as a ardent follower of hip hop and graffiti art. Despite the over-powering act of self-censorship mentioned above, it seems very little has been done to manage the possible increase of street artists attempting to make their mark in the neighborhood, encouraged (or provoked) by the amazing exhibition MOCA has organized. So far, during my visits to MOCA I haven't seen one official notice on MOCA property - inside or outside - expressing a concern for neighbors' property in the hope of curtailing the high spirits of street artists as they enter or leave MOCA. It would be a small step in the right direction. Instead, the media are regurgitating what the police are reporting. DO NOT BOMB IT notice at the screening of "Bomb It"
Coming down hard This past weekend's arrest (and incarceration) of Revok, one of the graffiti artists featured in the MOCA show (and French artist Space Invader's arrest the previous week) highlights a major challenge for MOCA which cannot be ignored. Street art in its rawest form is vandalism. The law is clear about its stance on that and has been making itself heard by these two high profile arrests. Whether the illegal acts are also public art is never part of the debate. The LAPD are law enforcement, not art critics. To MOCA I'm a major fan and follower of graffiti and street art since the 80s, but this New York Times article does the culture and MOCA no favors. It's a major P.R. issue that needs managing. And this debacle should've been foreseen. 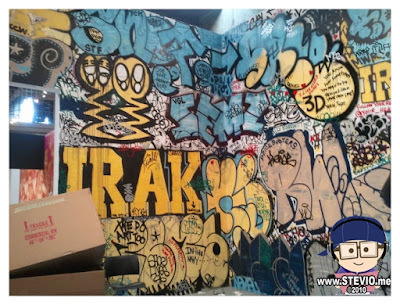 Presenting graffiti in a historical context (Cornbread and Taki 183) shows its illegal past, but to have the New York graffiti wall (below) stereotypes graffiti as mindless individuals "getting up" at the public's expense. Those throw-ups and tags are definitely graffiti, but I doubt it's considered art by the majority of your members and visitors. 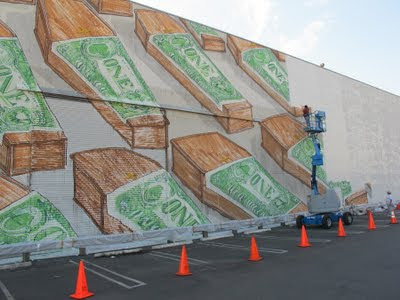 If the show is "Art in the Streets" then let's see more Lee Quinones, Mr. Cartoon, Mode 2 who elevate graffiti to an art form and are all recognized for their contribution to legitimacy debate. 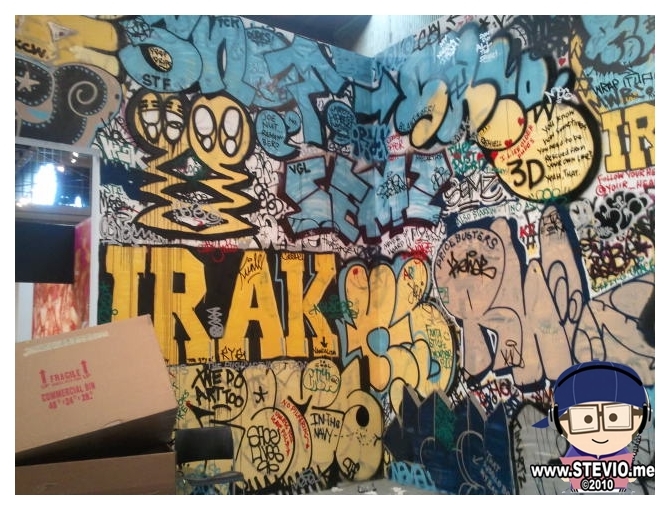 MOCA had the opportunity to not only present street art in a historical context, but also create a dialog with critics to show how graffiti can be equal, if not better, than other more accepted genres. Sadly, MOCA somehow missed this small window to build a bridge between the artists and their critics. And to the street artists, as Saber tweeted on April 21st, "To the artists and supporters of #artinthestreets. The authorities have us all under a microscope. DONT BE STUPID! @MOCAlosangeles #graffiti"